I'm excited to share how we spent our five days in Boston. It was definitely our most ambitious family travel experience to-date, and our first big city adventure with a 2-year-old. We managed to pack in a lot of fun, but also tried to keep our son happy with naps and bedtimes. While it may have meant we didn't get to do everything we would have liked, it was a good strategy when tackling a very crowded place on a hot holiday weekend with a toddler. We departed Indianapolis around noon, and arrived at Logan around 2:30. The arrow managed to sneak in a quick nap on the flight, so he was ready to ride the "train, train, train!" when we landed. (We had prepped him very well for the many T rides we'd be taking in advance of the trip!) We hopped a free shuttle bus from Logan to the Airport T station, and from there headed out to our HomeAway rental property in Jamaica Plain, a great neighborhood just outside of downtown Boston (that we soon learned the locals call JP). We were greeted warmly by our property owners (who live on the second floor of the house), and sent on our way toward City Feed and Supply for some basic groceries. It's a cute, organic grocery store and the walk there allowed us to get a sense of the neighborhood. We loved it--diverse, safe, artsy and walkable. By 5 p.m., my brother-in-law and his fiancee arrived from Iowa to join us for the rest of the trip, and we were all famished. 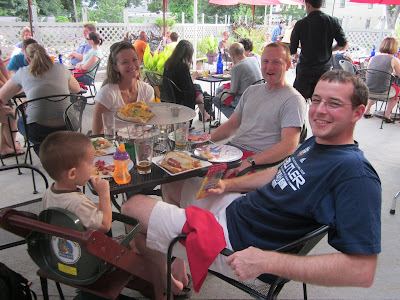 So we headed to Bella Luna, a hip pizza place just a 2-minute walk from our house. Is there anything better than pizza on a sunny patio to kick off your first day of vacation? By now the arrow was worn out, so we headed back to Jamaica Plain for a nap. Later that afternoon, everyone met back in Cambridge for dinner at the Border Cafe, followed by a romp through Harvard's campus and ice cream in Harvard Square. What a great first full day! This was July 4, and we decided to escape some of the crowds that were already gathering for fireworks and festivities in downtown Boston by hopping on a ferry headed toward Georges Island. This is one of the Boston Harbor Islands, a network of 34 islands and peninsulas in the Boston Harbor. The ferry ride itself is only about 20 minutes and offers great views of the Boston skyline. After we arrived on the island, we picked up a map and began exploring Fort Warren, which is mostly known for housing Confederate soldiers during the Civil War. While you'll quickly realize you're in a prison-like atmosphere, it's natural surroundings out on the water make it a beautiful spot to spend an hour or two. And its history is pretty fascinating as well. After the ferry ride back to Boston, we walked to the North End and had lunch at a little Irish pub. Then our group split--the arrow and I headed back for a nap, while the rest of the gang took in a Red Sox game at Fenway. That evening, the baseball group was worn out and sunburn, so I picked up take-out at Canary Square in Jamaica Plain for an easy dinner at home. Unfortunately, this day entailed only a very early wake-up call and a ride on the T back to Logan for our flight home. So what did we miss? Plenty! Fortunately, my husband and I had been to Boston just a few years earlier, where we did the Freedom Trail in great detail, the JFK Museum, and long walks around MIT and Harvard. But on this trip, I would have really liked to make it to Mike's Pastry in the North End for cannolis. And on our last night, we should have walked toward Jamaica Pond for dinner instead of settling on Doyle. 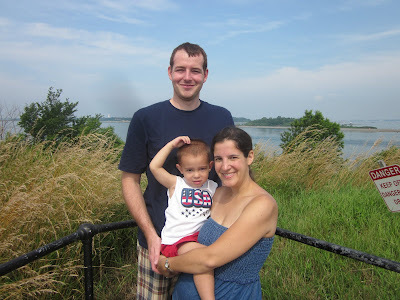 Certainly, I would have loved to experience the July 4 fireworks and Boston Pops concert, but everything I read and everyone I talked to suggested that it's just not very manageable with a 2-year-old. I have a lot more on my to-see list in Boston, like the Harvard Museum of Natural History, the Arnold Arboretum, the Franklin Park Zoo and the New England Aquarium. But that's why there's always "next time." I have so much more to share about our trip, so stay tuned. 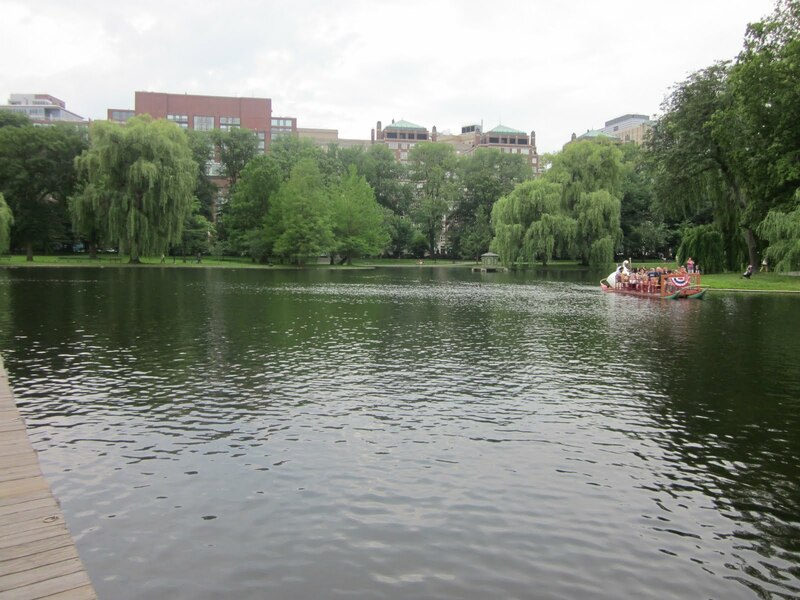 For advice on planning your own trip to Boston with kids, check out my review of the guidebook Around Boston with Kids. Disclosure: As the winner of HomeAway's recent blogging contest, HomeAway paid $2,000 of our travel expenses to Boston. For us, this meant they covered all of our lodging costs and a portion of our flight costs. We paid all other expenses. All opinions expressed about the trip, the contest and HomeAway are entirely my own and I was not asked to share a particular point of view. Looks like you had a lovely vacation! I've been dreaming about a trip to Boston for a long time - your post definitely makes me want to book it! I LOVE JP! That's where I lived the summer I had a summer internship in Boston (and as a 21-year-old enjoyed the fireworks on the Esplanade very much, but didn't get home until the wee hours, so good call). Sounds like a great trip - you packed in a lot given the exigencies of a toddler and pregnancy. We're looking forward to our trip there in about ten days. Sadly, I don't think the Children's Museum is on our list because my older one just isn't that interested in them anymore. Enjoy those toddler times while they last! great review! I live about 1 hr, 15 mins north of Boston (in no traffic, ha ha, like that ever happens!) Lots and lots of fun stuff to see. Since I grew up around here, I've gone there on field trips for school (aquarium, etc) and day trips. and I still haven't seen everything!!! 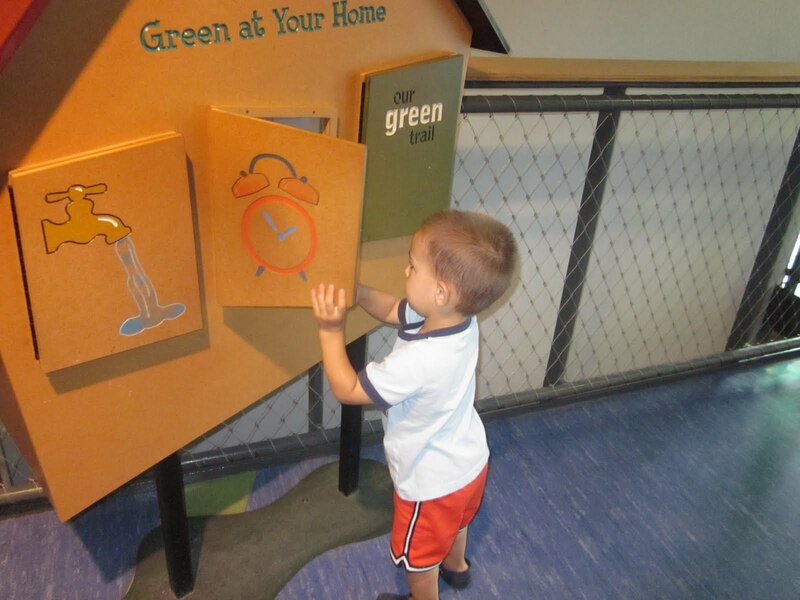 oh, another thing you have to see is the Museum of Science. it's wicked cool! Happy 4th of July From Where It All Began!